Each year the Best of Home Care Awards are announced by Home Care Pulse, a company that independently evaluates quality provided by home care agencies. 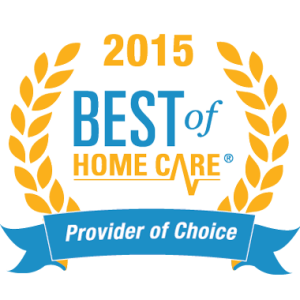 Agencies that qualify are awarded a Best of Home Care Award from three categories. Those categories are Leader in Excellence, Best of Home Care Provider of Choice, and Best of Home Care Employer of Choice. 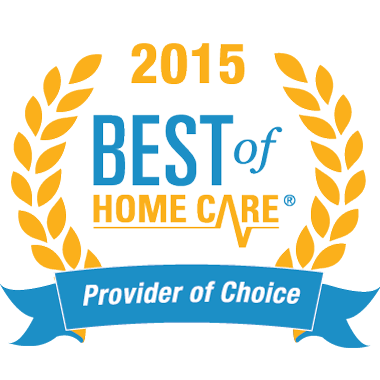 Eldercare Services is proud to share that this year we’ve received the Best of Home Care Provider of Choice Award. This means high satisfaction scores have been collected by Home Care Pulse from our clients, via live phone interviews. The results reflect our commitment to excellence, to our patients and being the best home care provider in The Bay Area. Our clients and/or their families are asked permission first before they participate in the feedback process. Clients can choose to remain anonymous for the interview. Their answers are then reported back to our agency. Our clients are asked questions from several categories. Those include caregiver work ethic, confidence level in agency management, agency’s response to problems, compassion of caregivers, and more. With clients’ permission, we recognize names of care professionals that are praised for going above the expected level of service and care. Especially relevant, we can highlight areas that need improvement. Therefore, those areas can be addressed with more training and feedback to strengthen skills. Home Care Pulse is currently the industry’s leading firm in satisfaction research and quality assurance. They serve hundreds of home care businesses across the country. They are the top resource for business improvement, agency certification, and awards.